Retained earnings are a company's net profits less dividends since it was started. 2. What Determines Retained Earnings? You may not want to become a CPA or corporate accountant, but, if you want to invest smartly, you should understand how retained earnings are recorded. Retained earnings are part of stockholders' equity and equal the profits made by the organization since it started. If a company makes net profits, they show up as the bottom line in the income statement. A company making profit in a year has its net income recorded in the balance sheet into the retained earnings account. Corporations declaring dividends to be paid to stockholders record a reduction in retained earnings for the amount paid to shareholders as dividends. Retained earnings are recorded prior to the board of directors declaring a dividend for stockholders. The amount paid or to be paid as dividends is then deducted from the retained earnings balance. Companies with net income and changes in accounting methods record retained earnings increases. Sometimes, companies make what are called "prior period adjustments," because of understated income, that result in increased retained income recordings. Similarly, companies occasionally change their method of accounting, which can increase retained earnings from the prior year. Typical corporations, large and small, are subject to federal and state income taxes. Retained earnings should always be recorded with after-tax net profit numbers. Depending on the federal and state tax laws in a given year, corporate taxes can equal up to 50 percent of documented net income. Recording retained earnings should always be done after deducting the company's income tax liability. Net income for cash-basis companies can only be recorded for profits and income actually received. Sales on credit or installment cannot be recorded in total until the company receives the money due. 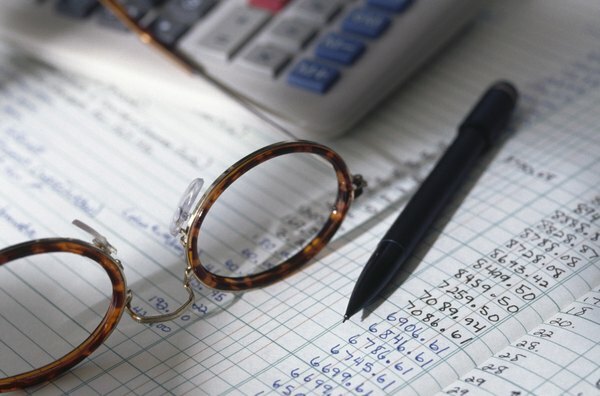 Companies using the accrual method of accounting, most of the public companies of interest to investors, record income as earned and expenses as incurred, not received or paid. Therefore, similar companies using different accounting methods may have vastly different net profits, resulting in equally different retained earnings recordings from one year to another. From an investment perspective, similar companies with different retained earnings recordings need more analysis. Examine the recording entries to explain the reality. For example, two companies may record equal profits and retained earnings. However, one organization may distribute substantial net profits to stockholders as dividends, while its mirror image company does not. Examining the recorded entries to the retained-earnings and dividends-paid accounts clarify apparent discrepancies for investors.